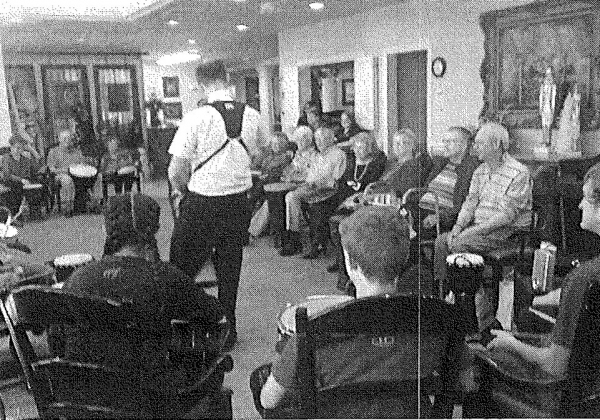 YOL student percussionists went into area assisted-living facilities and performed for elderly and shut-in people who would otherwise not have access to hear music. In many cases, the families of these elderly individuals came to see the concert with their loved ones, making the event one that brought people together and fostered social interaction as well as music appreciation. Following these performances, the groups were formed into a circle. The students handed out tambourines, drums, and bells to those present. While the students helped demonstrate the different instruments, the YOL Percussion Specialist led the entire group in an interactive drum-circle activity which allowed the audience to become part of the music making experience. In some cases, the student’ s parents, siblings, and staff members from the hosting facilities also came to participate. Following the event, students were giving print resources about different careers in Music, including music therapy and information about how music affects the brain and contributes to a person’s health through positive social interaction and mental/motor coordination. Evaluation of the program was based on followup with the facility administrator and also upon verbal questions with family members in the memory unit where the demonstrations had visible affects on the participants. 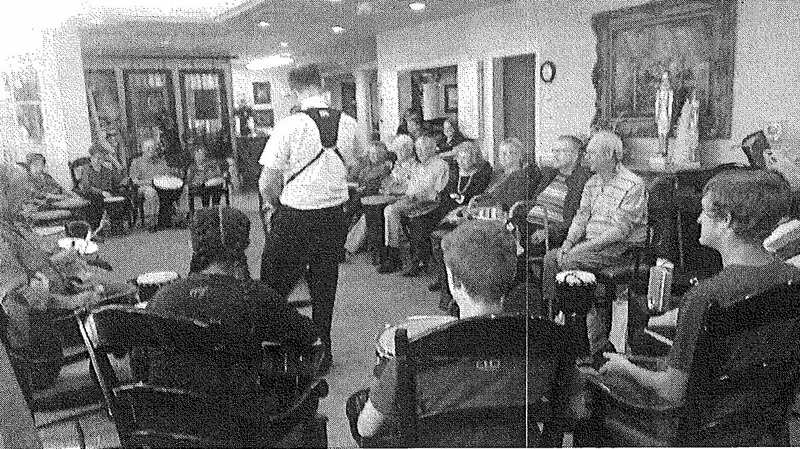 The elderly in assisted-living and nursing homes within Lubbock County, their families and the families of Youth Orchestras of Lubbock Percussion students. The students themselves also learned from the event, and were taught about different applications music can have — such as music therapy, of which one of the major components is connecting people through music and creating positive interaction with music. We planned for this program for 5 months while we were progressing in our regular region-wide YOL youth orchestra rehearsal schedule for the fall concert cycle. Our percussion section services all three youth orchestras and also does a chamber percussion program. Rehearsals for the percussion group were on Sundays during the months of August and September, and the piece they performed at the beginning of the YOL Percussion Circles Community Engagement Events was part of the rep they had prepared during those rehearsals of the Youth Orchestras of Lubbock Percussionists. Thus, we were able to maximize the benefit by using this music in multiple performance venues. The YOL percussion coordinator, Jeremy Isley, has specialized training and is in pursuit of his master’s degree. This was a value we wanted to offer our students. The Program Director, Amber Irlbeck, contacted area facilities to gauge interest and went to visit them and make presentations to the activities directors for their approval over a two month period. We were approved and submitted to get added to their facility schedules. Our percussion coordinator assembled the percussion equipment for the event the third month into the project. The program director maintained contact with the facilities administrators and provided documentation for the event to both the facility and the parents of the students who volunteered time for the event. We priced the plastic maracas and tambourines and bells, purchased them and then assembled the bells onto rubber bands that could slip onto the participant’s hand in month 3. The sign up sheet was taken 4 months into the event and the residents quickly filled the sign up lists. We provided the facility with a detailed schedule of the event and the objectives for the event, and a picture of the leader for the event as well. Sunday, Nov 19th 2017 from 2:00-3 pm at the memory unit at Wilshire Place. From 3:30-4:30 at the Retirement Community on West 4th Street. And on Sunday, December 3rd 2:00-3pm in the dining room of Erkskine Senior Living Center and from 3:15-4:30pm in the ESLC memory unit. All events were in Lubbock county, Texas. Barbara Woody was a parent volunteer who participated and helped supervise the equipment at the event. Isley Percussion volunteered the drums for the event. The Lewis Family sponsored the plastic instruments to give to participants. Nelda Jett of State Farm Insurance donated the certificates for participants. Grants for the YOL regular rehearsals came from: Talkington Foundation, the Harrington Foundation, Community Foundation of West Texas and the CH Foundation, but none of these funds were specifically applied to the YOL Percussion Circles with the Elder Community Engagement Program. This project truly impacted the Lubbock community. It brought people together and fostered interaction, and used a shared love of music to create inter-generational bonds. 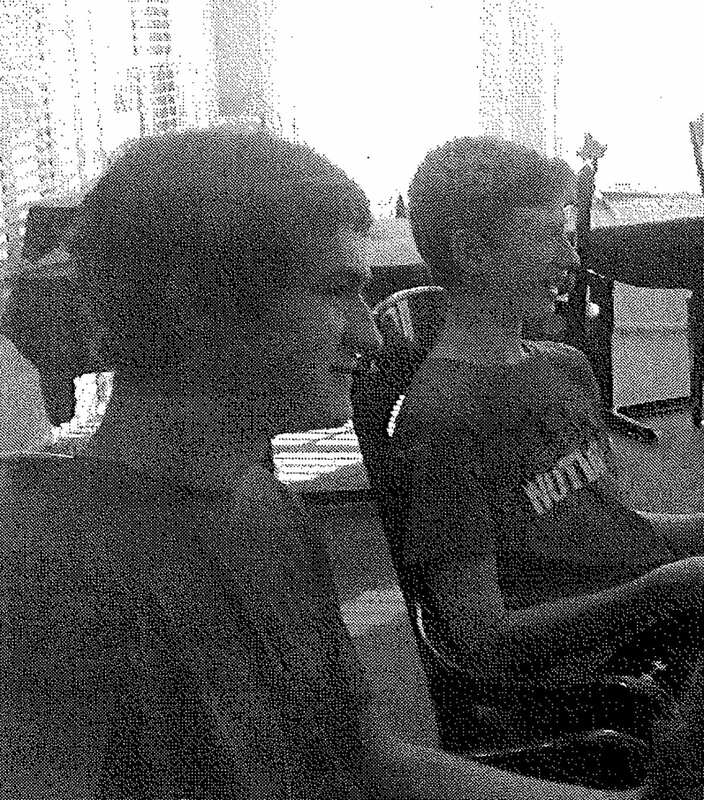 The youths in the program were laughing and enjoying being a positive impact for a very attentive audience. The elderly audience was engaged and active, increasing motor skills and communication. The family members were teary-eyed following the event, saying that they had not seen their family members that engaged or happy in a very long time. 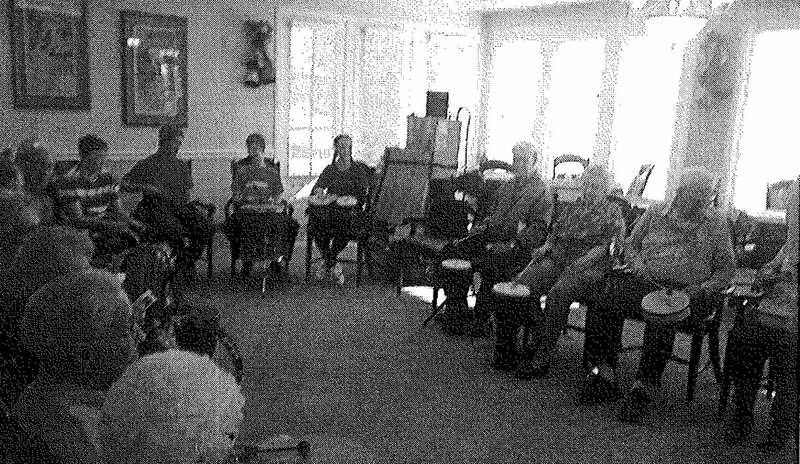 The drumming event seemed to awaken something in many of the memory-affected participants, and one woman in the memory care unit talked to her son for the first time in a year during the event. The YOL Percussion Circles brought music to an underserved population in need, and allowed students to feel the pride of doing something worthwhile. The project brought families together and promoted the love and appreciation of music for a diverse multi-generational audience. Each participant was given a certificate of participation and a percussive instrument (plastic tambourine or maraca) to use with staff in follow-up events later. We all pulled together and utilized volunteers and available resources to make this project happen. One of our challenges was to connect with the assisted living facilities. 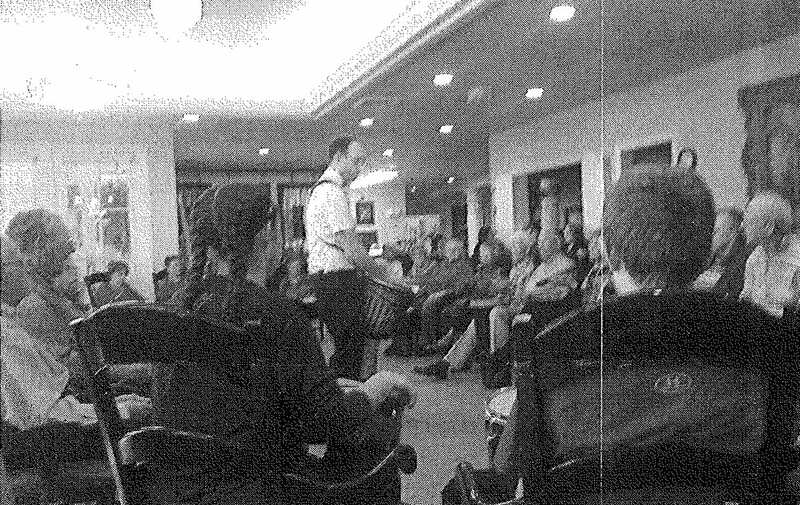 Drums are loud, and we had to find ways to perform the activities so that they would not disturb other facility residents who did not participate. This was done by coordinating closely with the on-site facility activities coordinator. We went in and did demonstrations for them in person, so that they could see how the program would work and benefit their elderly residents. We also had to explain the value of this to the parents and this was done by incorporating the career and salary information from area workforce resource center. We did verbal interviews with students following the events, and e-mail followup with facilities staff with evaluation form. We had YOL staff record observations during the event on a check-sheet for the various objectives and emailed students a chart for this as well. We also invited the residents to our YOL concert following the event, and a large number came to attend as a result of this community engagement project. This project takes a percussion specialist with knowledge of musical interventions and specific drumming patterns, but if you do not have such a specialist cd-based audio guides are available to use. If you perform rep from your regular season the kids are already working on as we did, the funding inputs for this project are minimal and it really only require time from those involved. The program is easily done with a small group of students leading and minimal equipment – you can scale it and utilize plastic instruments for the participants, or more complex professional percussion equipment. The program is easily scaled — we did the event for as few as 4 elderly participants at a time and as many as 38 participants at a time. It is really all based on your resources and budget. The population that is targeted will get so much out of the interaction and that value is not hindered by the sophistication of the equipment used (or lack thereof.) Both students and the elderly participants, their families and the staff working with them, said they found the experience rewarding.